Drum & Strum Music Center is a family owned music store and lesson center located in historic Old Town Warrenton, Virginia. Dedicated to enriching lives through music since 1990. In addition, we have one of the premier listening rooms in the Greater Piedmont area providing world-class entertainment and Open Mic on Thursdays at 8pm for all who would like to join. Check out what’s happening On Stage @ Drum & Strum. Don’t have your own instrument? No problem. We offer rentals with an affordable rent-to-own program. 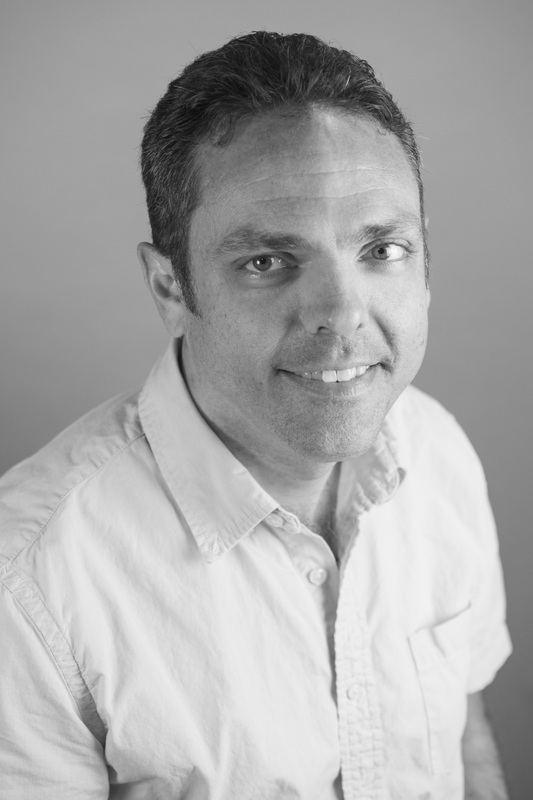 In addition to overseeing daily activities at the Drum & Strum Music Center, Tim can be found either on the floor offering his musical expertise or in the repair shop working on instruments. He enjoys composing music, playing guitar, and working to feature local and nationally acclaimed artists each month on stage at Drum & Strum. Tim also enjoys cycling, cooking, traveling, and collecting antique firearms. In 1988 Drum & Strum owner Tim Dingus received the gift any 16-year old boy would love—a 1972 tobacco sunburst Gibson Les Paul guitar. He didn’t have any idea how to play it, but would soon dive into a musical journey that would remain with him his entire life. “Here’s the deal,” said then 21-year old sister Cheryl who bought the guitar from their cousin Rick. “I don’t think I want to play guitar, I like the drums. If you can learn to play it, I’ll get some drums and we’ll start a band.” A few short years and many music lessons later—a newspaper ad was placed to complete the puzzle. A promising phone call came from Bobby Hawkins from Woodbridge, Virginia. He would audition to become the missing link on bass guitar and vocals. Blue Revolution was born. The only person more excited than any of the band members was Tim and Cheryl’s Mom Gloria Dingus. Soon she had them writing and recording their own songs, taking them to see their mentors perform everywhere from big arenas to small clubs, setting up shows, and proudly acting on their behalf as band manager. With a quick following and local popularity the music quickly consumed everyone. Performing everywhere from field parties to clubs all over the Metropolitan D.C. area—Blue Revolution was quickly gaining momentum. Gloria wanted to give Tim and Cheryl every opportunity to continue to follow their dreams. She saw the means to live out one of her own dreams as well—to start her own business. With three music-crazed employees, the support from husband Gary, and the entire family behind her, this was her chance. “What do you all think about starting a music store?” she said half-jokingly one day. Everyone quickly responded with an enthusiastic “YES!” and a few months later Drum & Strum Music Center was born. Drum & Strum Music Center, located in historic Old Town Warrenton, Virginia, has been enriching lives through music since opening their doors in 1990. 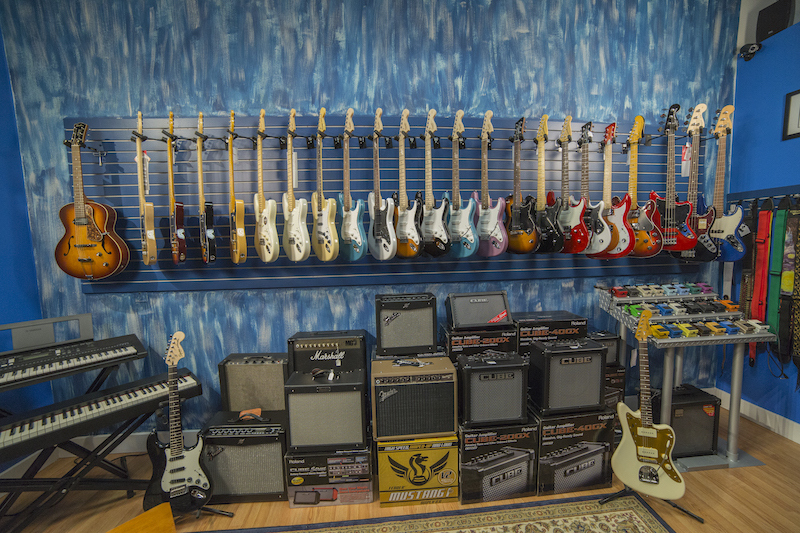 Known for their friendly, professional staff—Drum & Strum has provided private lessons, instrument repairs and tuning, instrument rentals, clinics and camps, and concerts for almost 25 years. Drum & Strum is an integral and iconic part of the small-town business community providing a myriad of students and listeners with the joy of local music. After several moves to accommodate growth and expansion—Drum & Strum moved to 49 East Lee Street in 2003. Drum & Strum became a household name synonymous with friendly staff and exceptional music instruction. 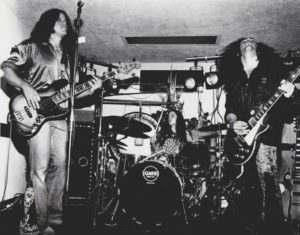 Drum & Strum quickly became a launching pad for careers in the music industry that would span the globe and provide a musical heritage for many generations to come. The mother and son team of Gloria and Tim ran the business together and father Gary helped with remodeling lesson studios, building a new stage, and more. Cheryl and husband Bobby left the family business and started a family of five budding musicians who take lessons at Drum & Strum today. After her long and determined battle with cancer, Gloria sadly passed away on September 19, 2012. 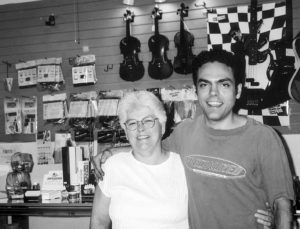 Her legacy of enriching lives through quality music lessons, instrument repairs, merchandise, and old-fashioned good advice lives on through the oldest and only music boutique in the Fauquier County area. Tim and his wife, Beth, both of whom are musicians, manage Drum & Strum Music Center today. 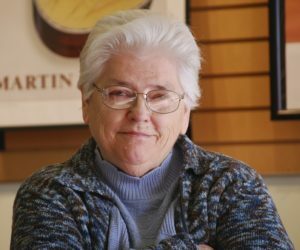 Drum & Strum continues to be driven by Gloria’s legacy and Tim’s passion for integrity and endless support of musicians near and far. Drum & Strum is woven into the fabric of the local community. The stage at Drum & Strum once again has a home, nestled against the wall in the front show room, not far from the footprint of the original stage that has echoed the music of legendary greats such as John Hartford and Mike Auldridge to name only a few. The room now resounds once again every month with select featured artists from around the world—providing whoever is lucky enough to get a seat that night with an opportunity to see world-class and often world-famous entertainers in a setting as intimate as their own living room. A visit to Drum & Strum harkens back to the days when independent music stores were a place where you could feel at home with people you could trust. Stepping away from over-produced and mass marketed items that you would find in a box store or online—Drum & Strum provides service you can depend on, the finest music instructors available today, help and direction for all of your musical needs, friendly, knowledgeable staff, and the guarantee you’ll always be greeted with a smile whenever you walk through the door. We look forward to seeing you soon at Drum & Strum Music Center!